I wouldn't fancy QPR on the opening day, even at OT, they'd come out all guns blazing and everybody remembers Dennis Baileys hat-trick! Exactly what I was going to say. Always hate playing newly promoted teams at the beginning of the season when they're full of confidence and before they have injuries to their small squads. Manchester United to play a promoted team in the opening match of the season again?! Bloody hell. That's if the fixture list is for real. Will this thread get pinned? It has blue on it, doesn't bother me but there will be a small back lash no doubt. 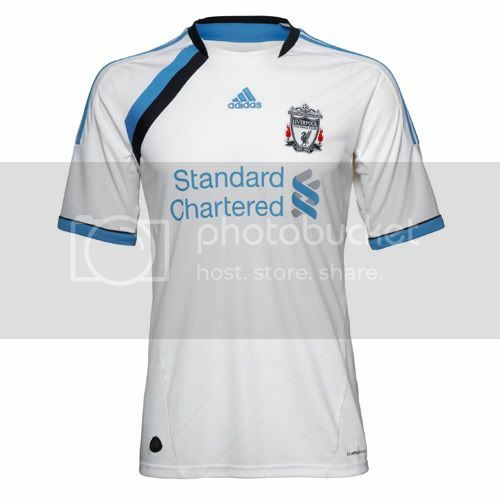 We'll only be wearing it when our other kits clash so probably wont be seen too much. It's supposed to be a nod to our first ever strip plus its our 3rd strip it'll be used very rarely this season so whilst i was a bit miffed when i saw the leaked pics of it im not too bothered by it. Latest news is apparently no fans will be forced by gunpoint to buy it. Came across this excellent picture on Wiki. One of the biggest disappointments of our PL journey was that although I got to finally go to Sid James Park (twice) and we won (twice), the first was during the protests against Ashley (the game with the "geordie mafia out" banner) and the second was for an FA Cup replay that neither team wanted to be involved in. Sid James and Old Trafford are definitely the best of the "old" grounds around. I've sat at the back of the massive stands behind the goal at SJP and OT and it's genuinely scary. uefa have announced that the 2013 champions league final will be held at wembley again. Liverpool away first game (typical with the whole Hendo situation), then second game home to Newcastle!!! Holy crap! Then Man Utd at home the last day of the season. Wow.